This was round one at the hardware store. We eventually went four times in two days! I’ll spare you all the details ( I don’t really want to re-live them) but the man ended up trapping two mice and tightened up our potential access points such that, if there is still a mouse in here, we don’t know how it would get out. We also have purchased deterrents for almost all senses – Fresh Cab packets that they supposedly don’t want to smell, an electronic attachment to our wiring giving magnetic pulses that they supposedly don’t want to feel, ultrasonic sound emitters that they supposedly don’t want to hear and of course, the traps for their sense of taste. The good news is that we’ve now gone 5 days and nights with no evidence of any additional stowaways – but the man is still looking and the woman is still sleeping with the light on! 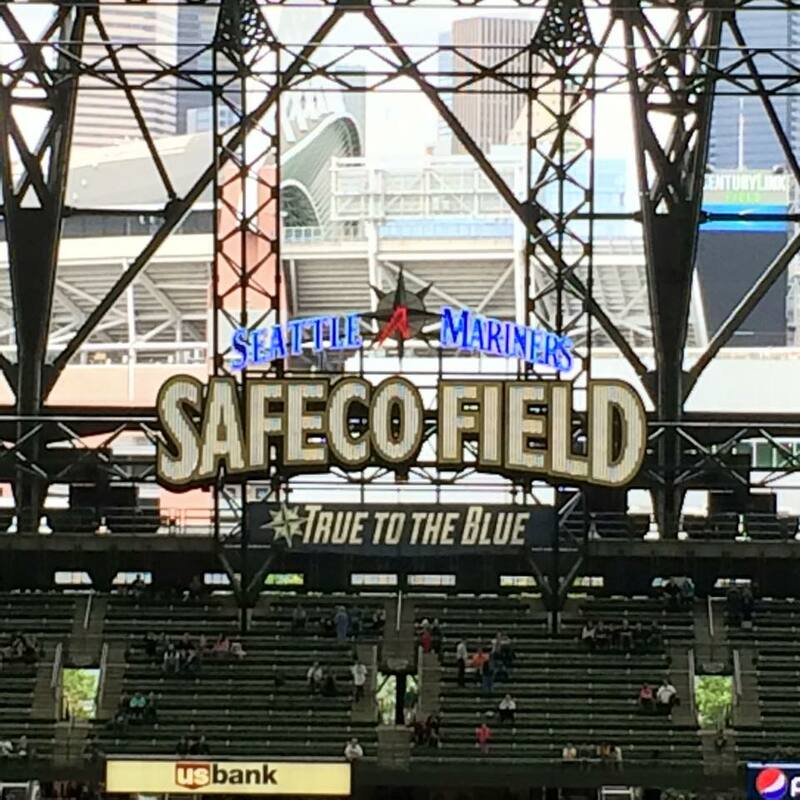 While we were still blissfully unaware of our intruders, we enjoyed a couple days with my parents in Vancouver and then went to Seattle to see a Mariner’s game. 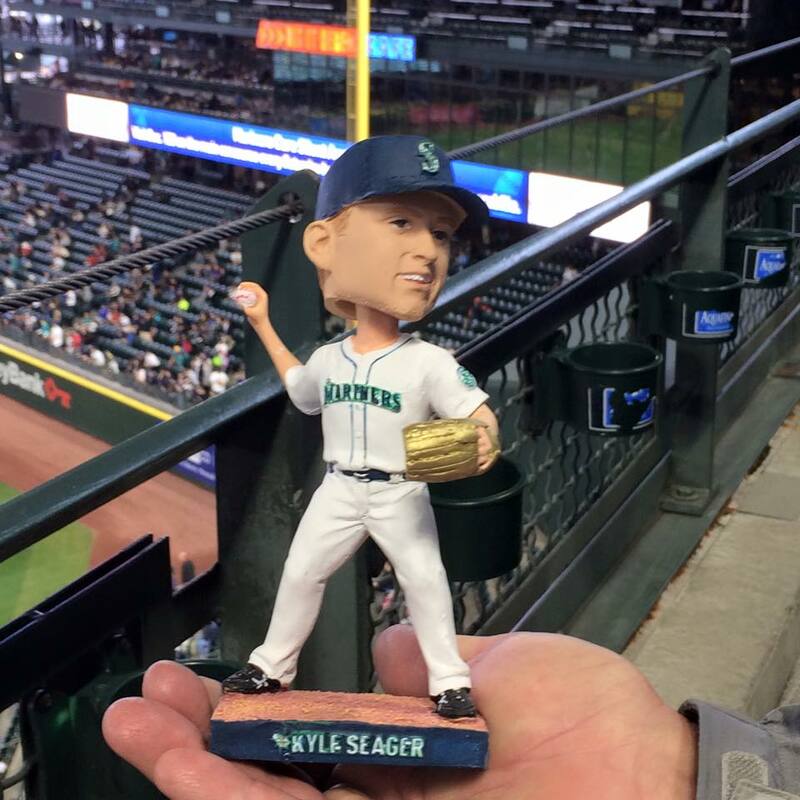 It was Kyle Seager Bobblehead night so getting there early was a priority! Bobbleheads for grandson Archer and cousin Kylee. It was an eventful game. 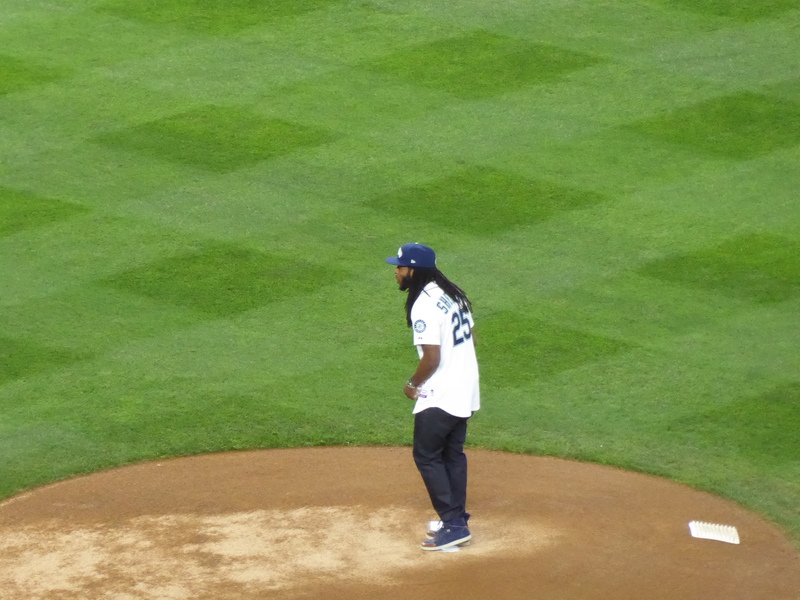 Seahawk Richard Sherman threw out the first pitch, the manager and catcher both got thrown out of the game, A-Rod was thoroughly booed each time he came up to bat, the closer blew the save so the game went to extra innings, and the Mariner’s lost. 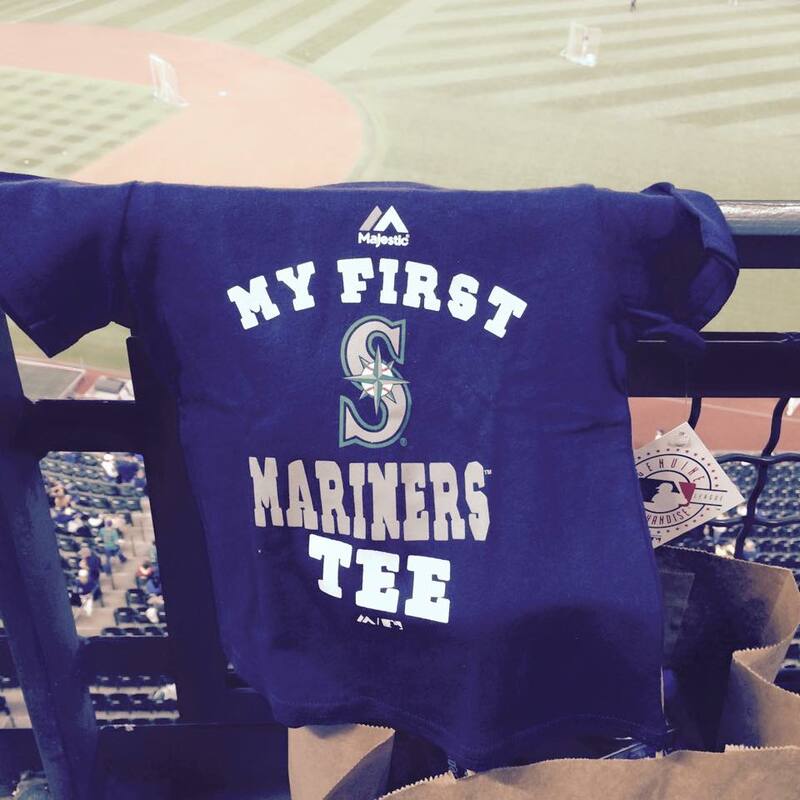 As for the fun things we’ve done …. the best was reconnecting with friends John and Julie, who live in the area. We met them in Mazatlan last December, (a conversation started because of John’s Seahawks hat) and spent time with them at the pool and dinners out. It was a very pleasant and comfortable evening being with them again! 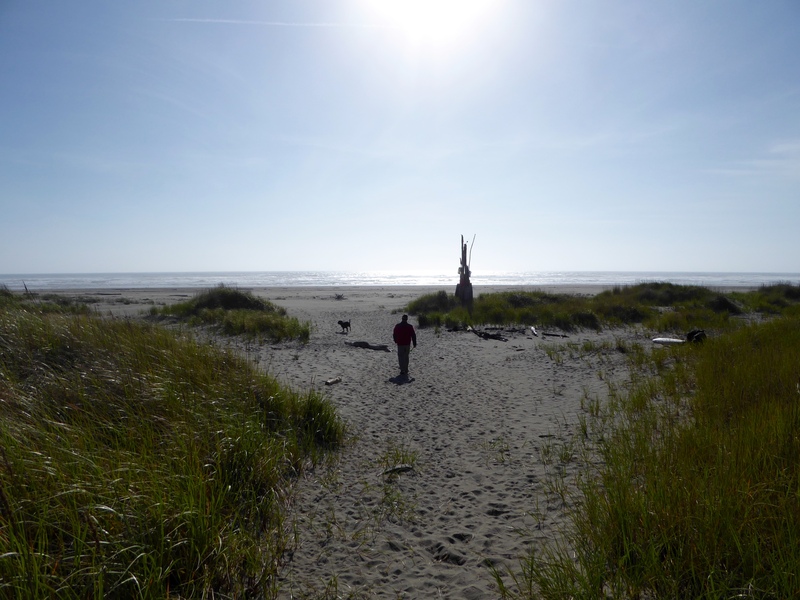 We enjoyed 2-3 walks on the beach each day, either at nearby state parks or down the short path from our campground, through the dune grass, to the ocean. 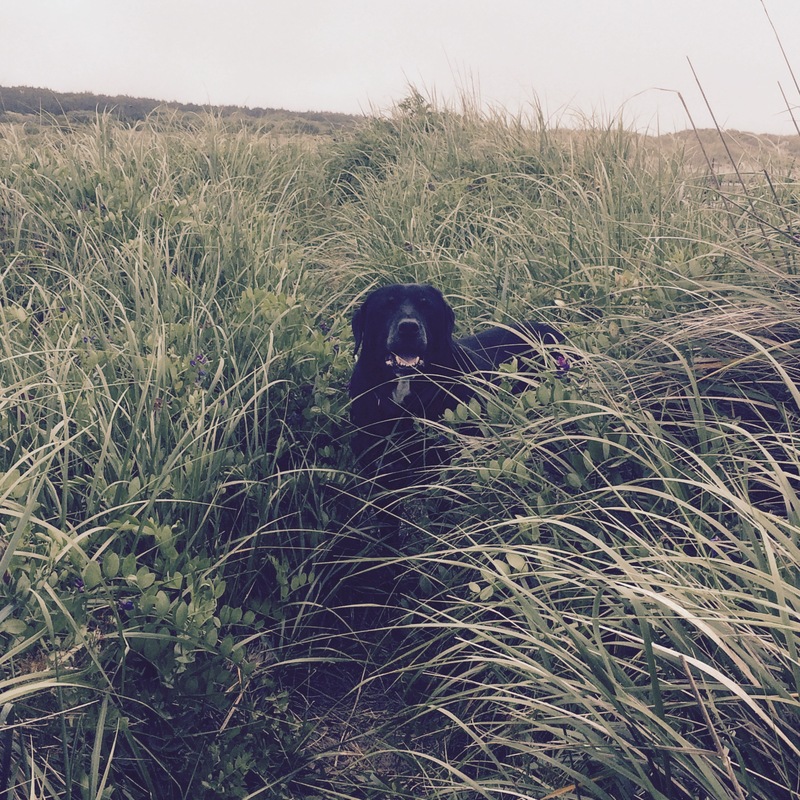 Elko loves going to the beach! 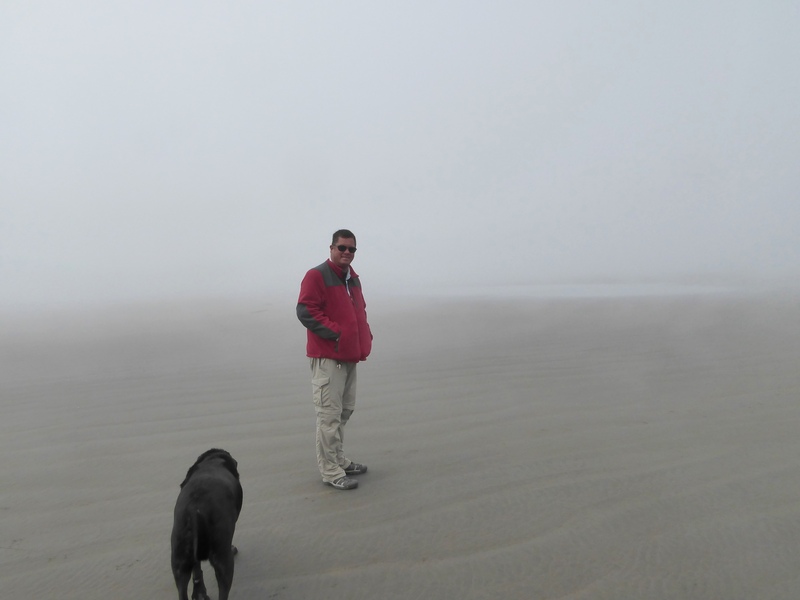 One day it was so foggy that we could hear the ocean but could not see it until we were very close. 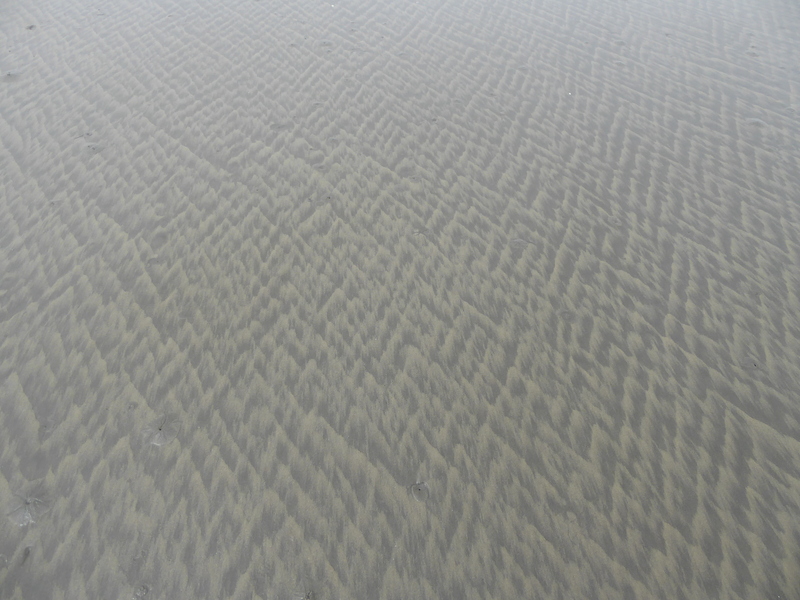 Because we couldn’t see the ocean, we did notice the cool patterns that the surf made in the sand. There were several within a short distance of each other. 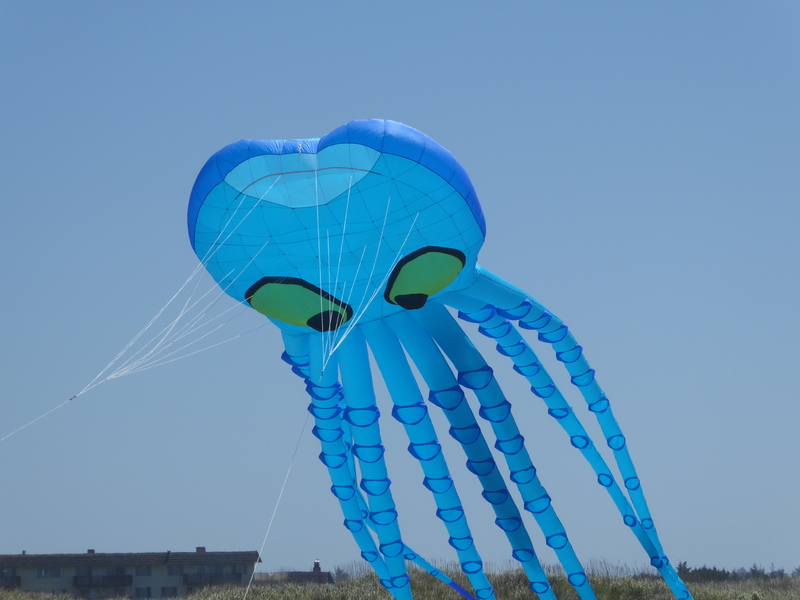 We went to the Ocean Shores Kite Festival and learned a little about the world of kite competitions. Competitors were flying kite routines to music and getting scored on a rubric we did not understand. 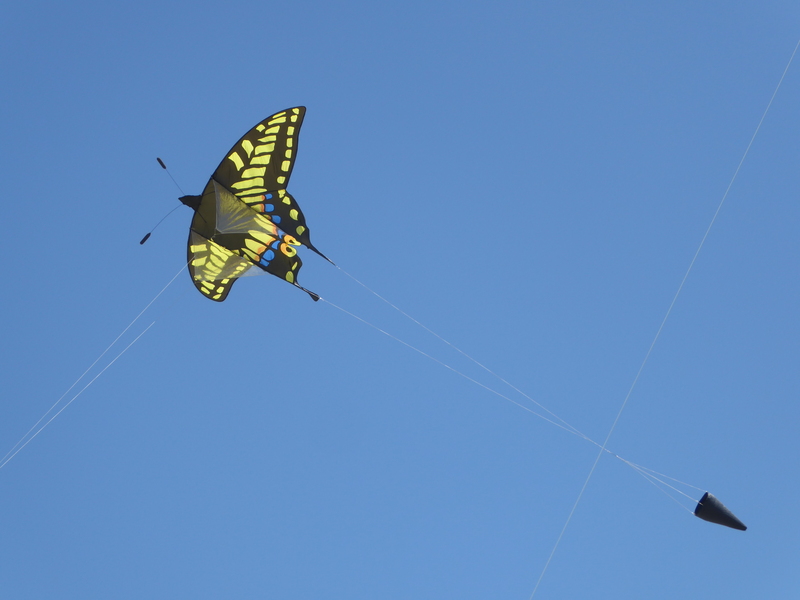 We also watched a foursome practicing their synchronized routine where the kites moved very closely together, wove in and out and, somehow, did not tangle lines. Mostly we just enjoyed looking at all the different shapes and sizes of kites! The day we were there the wind was blowing 2-3 mph. 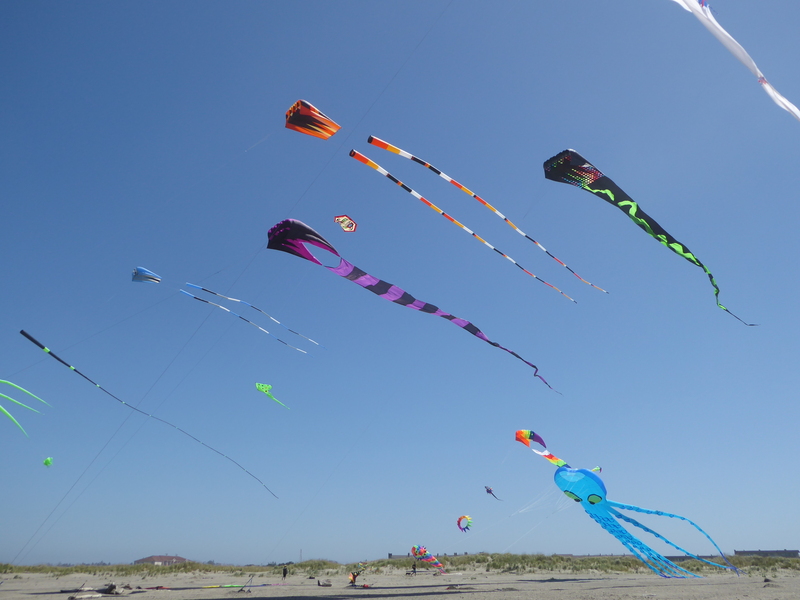 The day before was 11 mph and we would have seen a completely different collection of kites. 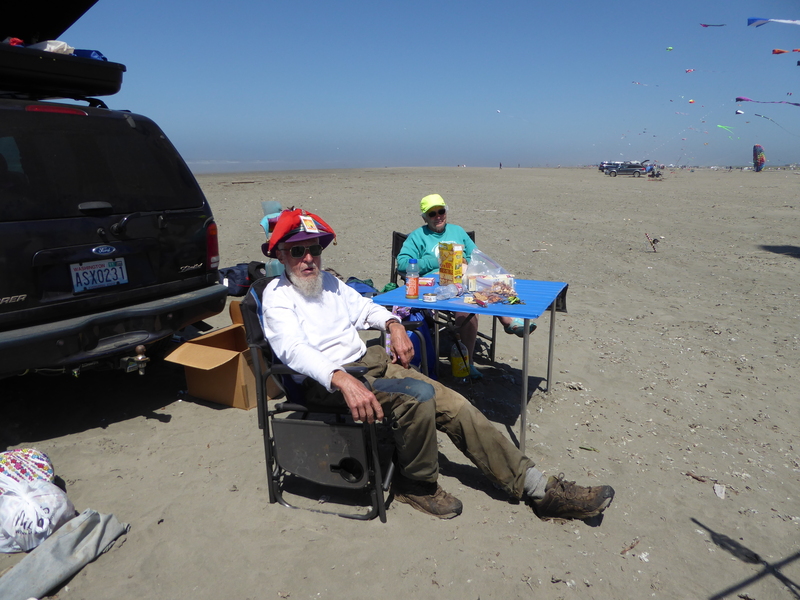 We enjoyed talking with this couple, veterans of decades of kite festivals and competitions. 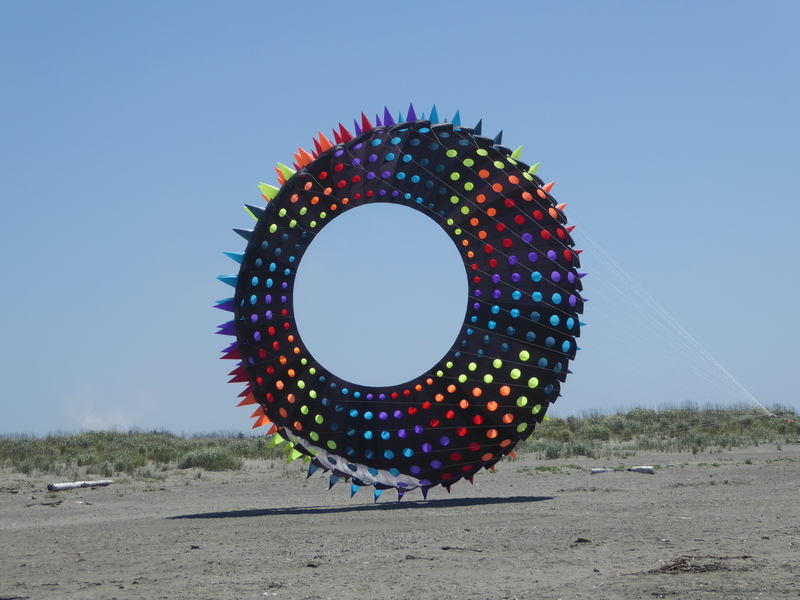 They always make their own kites, including the butterfly kite below, and told us of their transitions from using bamboo to graphite to fiberglass. They also use fishing reels to manage their kite lines. It was interesting stuff! Today we leave the Washington coast for the Oregon coast. We are headed for Seaside. 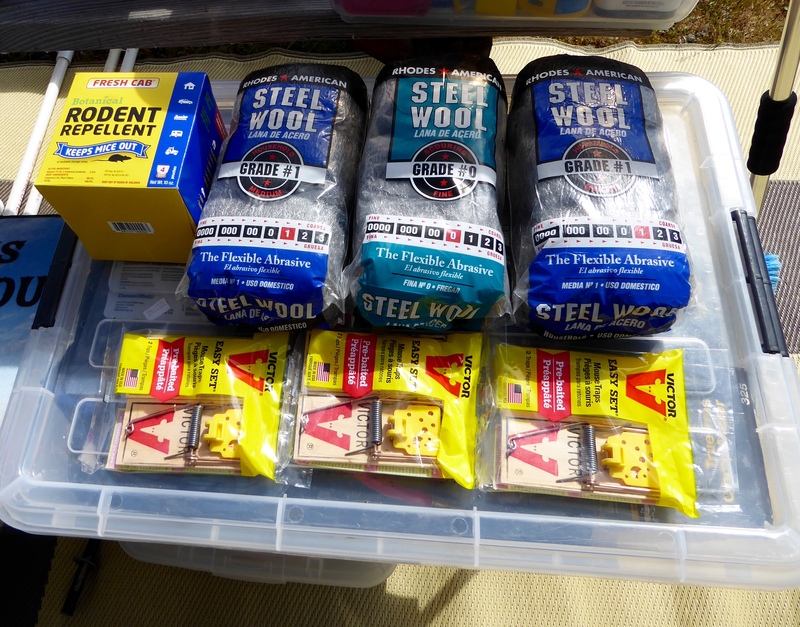 Hopefully there aren’t any mice there….just fun times. 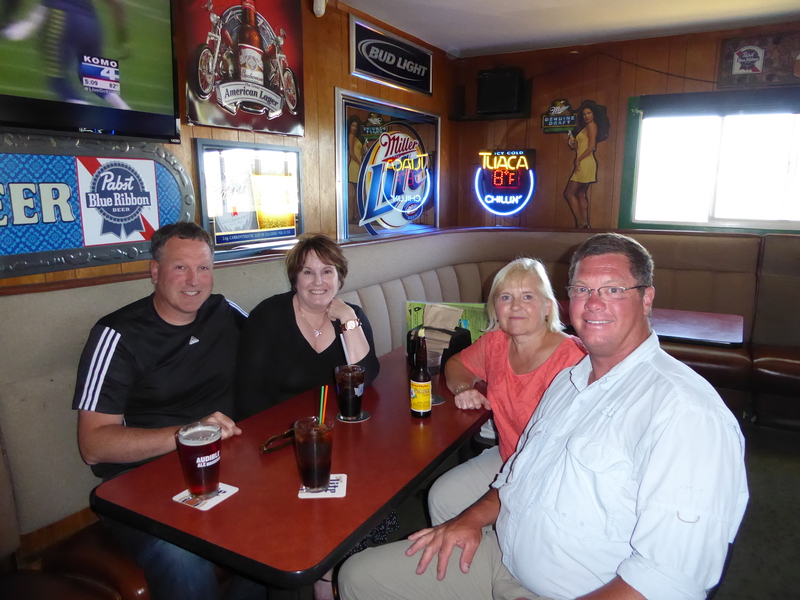 Hi Serene and Randy -As always, I enjoy hearing about your adventures! Thanks Sheri – hope this one didn’t make you squeamish! But maybe you aren’t as big of wimp as me!